Eszter Salamon sets out in search of folk dances and hidden forms of knowledge. 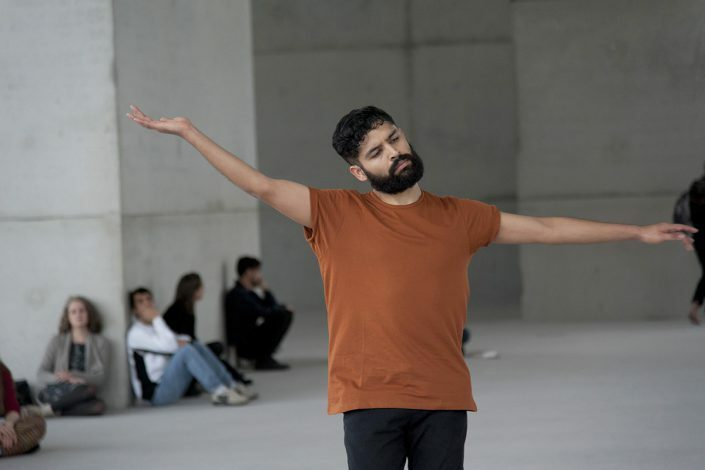 Eszter Salamon’s series „MONUMENTs“ radically deconstructs artistic and social categories, placing war dances from right across the world on the stage. Eszter Salamon started her “MONUMENTs” serie by collecting what she called ‚war dances‘ and incorporating them into the movements and gestures of her dancers. She didn’t seek to carry out an exhaustive world tour or retain only the things that seemed exemplary to her, but rather took elements from here and there in order to transform them and bring them to life in the here and now. Her approach is more a system than a strategy, remaining open to other modes of dance. A means of importing something particularly alien into the field of contemporary dance, rather than something familiar. A method also of levelling out that which is usually hierarchical. It’s original: everything proceeds as if the choreographer were doing away with her heritage in order to fundamentally affirm her complete freedom of… movement. Though we might ask ourselves what drove her to such extremes! As a child she learned traditional Hungarian dances. This has becoming so rare in contemporary European life that it merits a mention. For these dances have generally been relegated to the status of ‘folklore’ and excluded from the art world. But the hierarchy that defines these categories needs to be questioned. Why should moving bodies be valued differently depending on whether they are categorised as ‘primitive’, ‘folklore’, or ‘art’? 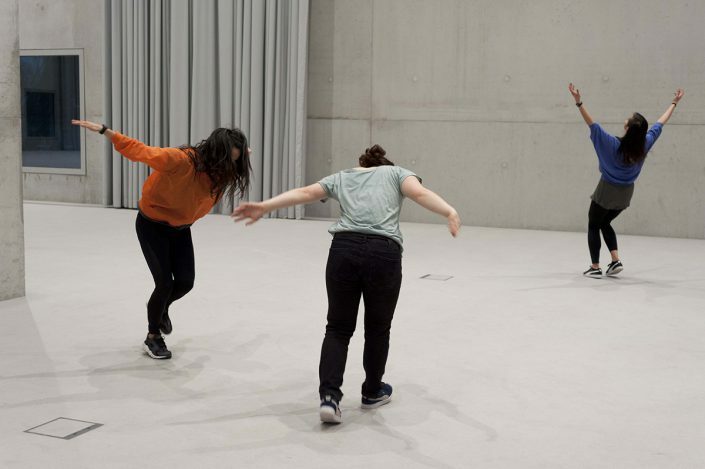 Eszter Salamon interrogates the borders – borders which are all the more deeply entrenched through their implicit nature – which divide ‘dance’ from ‘non-dance’. She traverses the fragile divide between dance and performance. Neither dance nor performance, but danced performance or performed dance. It’s impossible to know. This is because the body is the very site of judgement. The audience is therefore confronted with their ignorance and their conformity, because the two go together. Classical training and movement diverts attention away from other approaches and other systems of bodily movement, tossed aside out of contempt or indifference. This is because the body is the very site of judgement: it is ‘beautiful’ or ‘ugly’, it is ‘feminine’ or ‘masculine’, it is ‘white’ or ‘black’. The “MONUMENTs” serie is not, in this sense, culturalist, because this distribution of perception is of little importance. That’s why, in “MONUMENT 0”, in 2014, Eszter Salamon puts up signs listing all of the wars between 1913 and 2013. She brought the dancers out of the obscurity, out of the dark night of all the imperialism and colonialism that has eroded humanity. This undertaking harbours a desire to decentre and de-index dance, which becomes particularly evident through the use of the voice: sometimes violent, as a cry, or moan; sometimes as an inarticulate language of emotion and affect. The bodies in Eszter Salamon’s works are not mute. They are speaking beings who, as such, come to resemble one another: neither beautiful nor ugly, neither man nor woman, neither black nor white. They are thus indifferent, stripped back to their barest singularity. This is what Eszter Salamon explored by giving voice to the life of her namesake… Eszter Salamon (“Eszter Salamon, 1949”). It is this will that is at work in her adoption of the acts and gestures of the great Valeska Gert: iconoclastic and provocative, grotesque and corrosive. Eszter Salamon and Boglàrka Börcsök proposed an innovative, nomadic experience in Brussels, both inside and outside the Villa Empain (2017). Eszter Salamon’s “MONUMENTs” are first and foremost concerns ‘documents’ in the original sense of the word. Document comes from the Latin word documentum, which means lesson. They reveal what is sometimes hidden, omitted or forgotten. An inconvenient truth that tears us from our slumber. Disorder or outbursts that wake up the audience. It is a sort of flood which tears things from their (seemingly stable) moorings, which also submerges sacred sites. A “MONUMENT” piece can just as easily be seen in fragments, in museums, as it can as a whole, on a stage or elsewhere. For flexibility is the rule here, unencumbered by mainstream codes. This flexibility requires research, work, practice. It is physical and intellectual, political and aesthetic. Though it might seem paradoxical at first glance, it stands in a direct correlation to radicality. It does not submit to pre-existing norms, but explores new worlds. Thus, Valeska Gert is not an ‘old’ reference, the wars don’t have to be ‘Western’, not all dances are of ‘European’ – and ‘learned’ – origin. 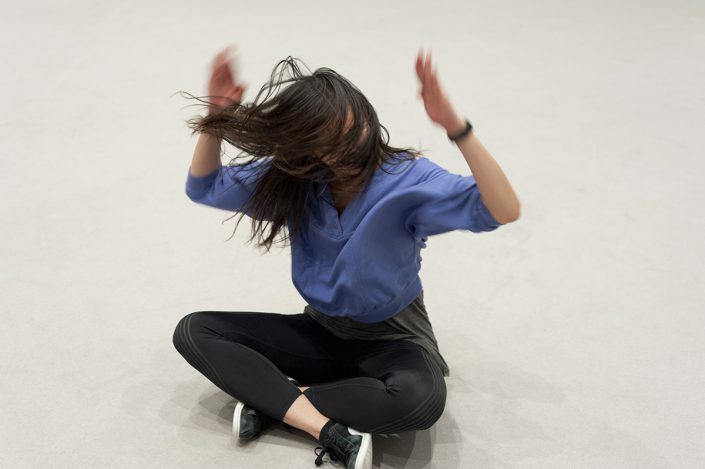 In her “MONUMENTs” serie, Eszter Salamon provides critical disturbances which upset the ‘established order’ and disrupt the very history of dance as it is usually told. She choreo-graphs with a hammer in her hand. A new twilight of the idols (“Götzendämmerung”) demonstrates the urgency of decolonising dance. The feminist revolution never happened, not even in Europe. Europe is in dire need of a new beginning. Its history of colonisation abroad has masked internal colonialism (for example Ireland and Iceland in the West, not to mention all the former Soviet republics). The fall of the Berlin Wall cast aside the universe of non-consumption which was the legacy of the inhabitants of ‘the East’. The sacred commodity was not worshipped there. Not too long ago, Hungary belonged to the „Eastern bloc“. Individualism was viewed there as a fault, and sometimes a crime. The standardised universal of the ‘free world’ has now become globalised. Above all it has become individualised, desperately seeking out a consumer in every nook and cranny of the individual. The feminist revolution never happened, not even in Europe. Freedom did not prevail. Is it part of the dance or external to it? The work of Eszter Salamon raises the question and examines the implicit agreements; the things left unsaid that shape social life. She does so from within, not as direct and explicit opposition, but as internal deconstruction, incorporated, incarnated and lived in bodies that have intimately adopted the formula. There is a need to broaden the field of possibilities, pave the way for something new, to adapt to foreign horizons and in a sense, to let go of oneself. To divest the old man and abolish his secular privileges is no small matter. I see in “MONUMENTs” a fierce determination: to increase, horizontally – that is to say, equally – the agency of each individual (especially women); to combat forms of misogyny and their machistic entourages; to accept nothing that is hostile to oneself. I therefore see a useful intransigence in performances that can offend but also amuse and make us laugh and make fun of the little kinks in our lives. “MONUMENTs” is a reflection on choreography and history, on dance and politics; a reflection on gender, as well as a reflection on the ‘popular’. In 1846, Ambrose Merton proposed the term ‘folklore’ to replace what we referred to with the expressions ‘popular antiquities’ or ‘popular literature. Lore: traditional knowledge and stories…’ which is related to the German lehren. The latest instalment returns to the division of knowledge between ‘popular’ and ‘learned’. Or, how and what do we learn? Is it always taught? What does our knowledge owe to our practice? These questions could remain confined to the muffled and patient spaces of universities. Far from all of the academies though, they will be exposed in broad daylight in the middle of August. Eszter Salamon is in Berlin to light a fire which will explode certainties and prejudices. And for this she should be commended.